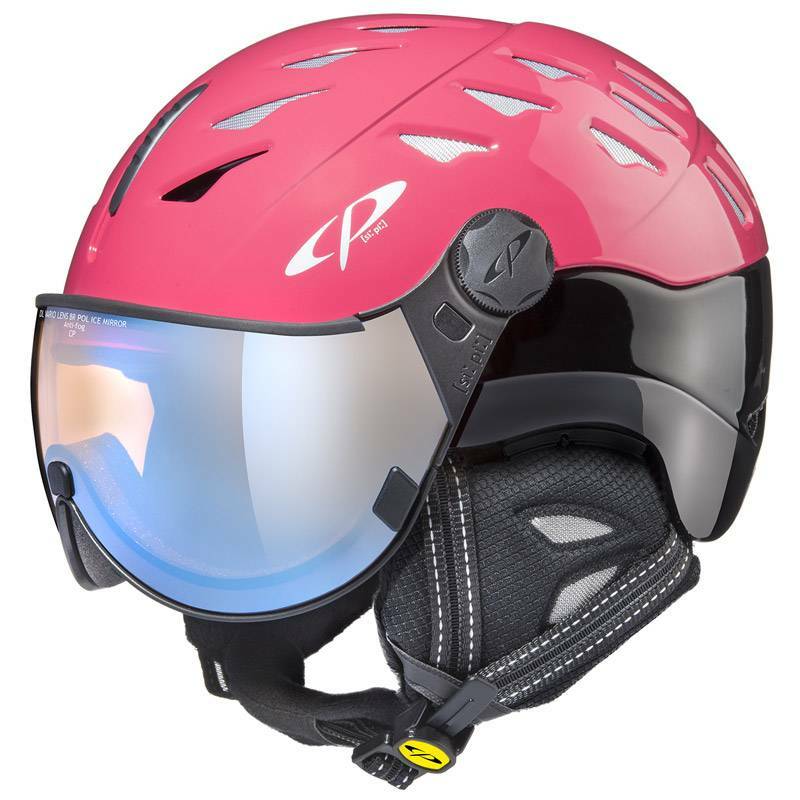 This is your chance to get the Curako all in one ski helmet for sale from CP visor ski helmets from Switzerland, a truly unique opportunity from this best selling visor ski helmet. 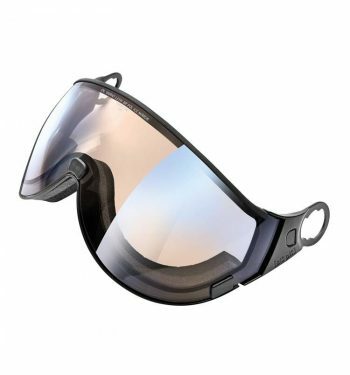 The changeable visor so you can adjust to different light conditions. 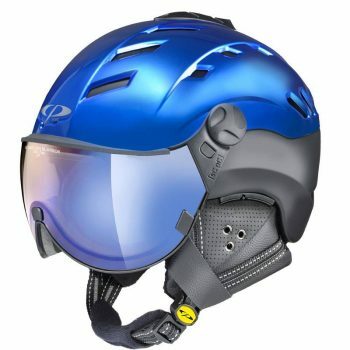 The removable ear pads thatprovide reliable protection against cold and snow with a sophisticated design that ensures even faint outside noises can be heard. 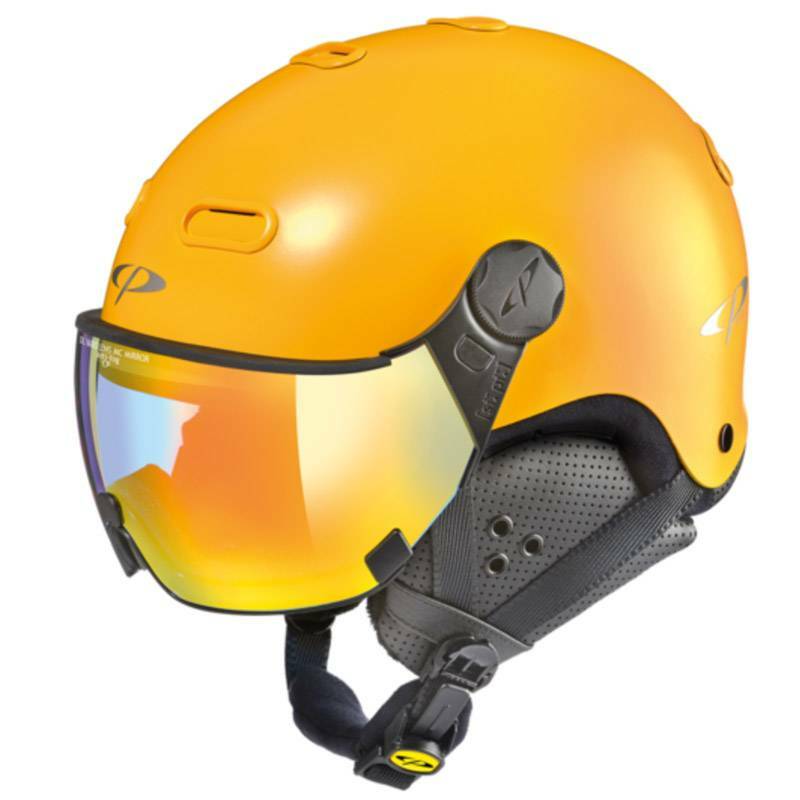 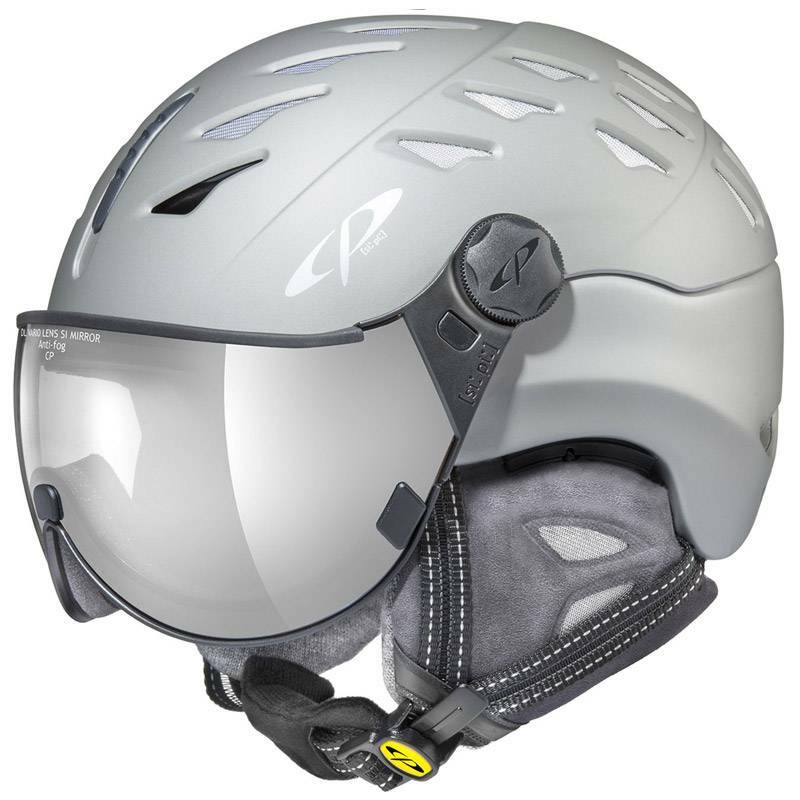 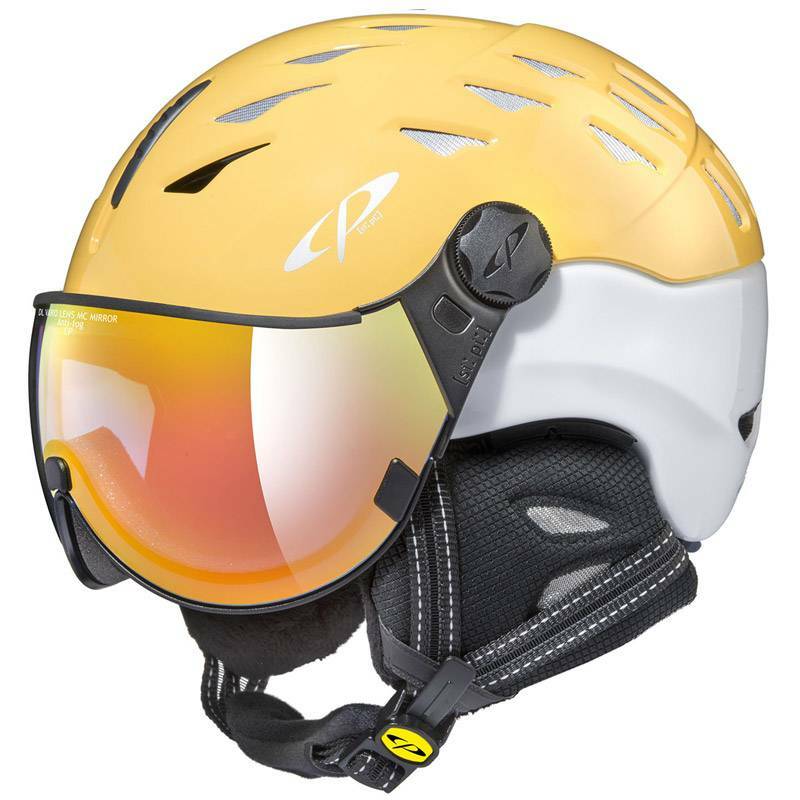 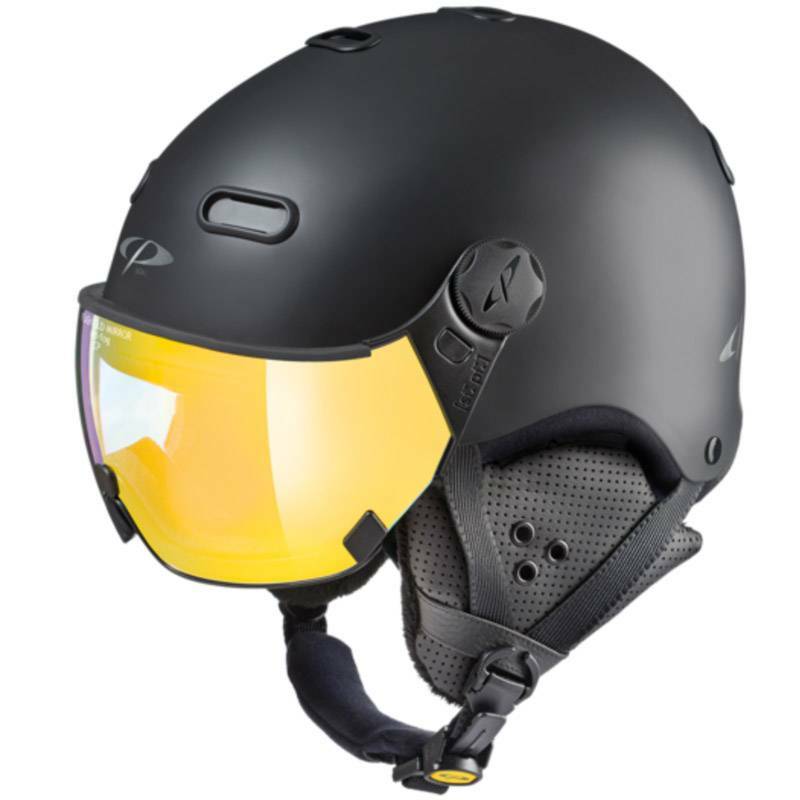 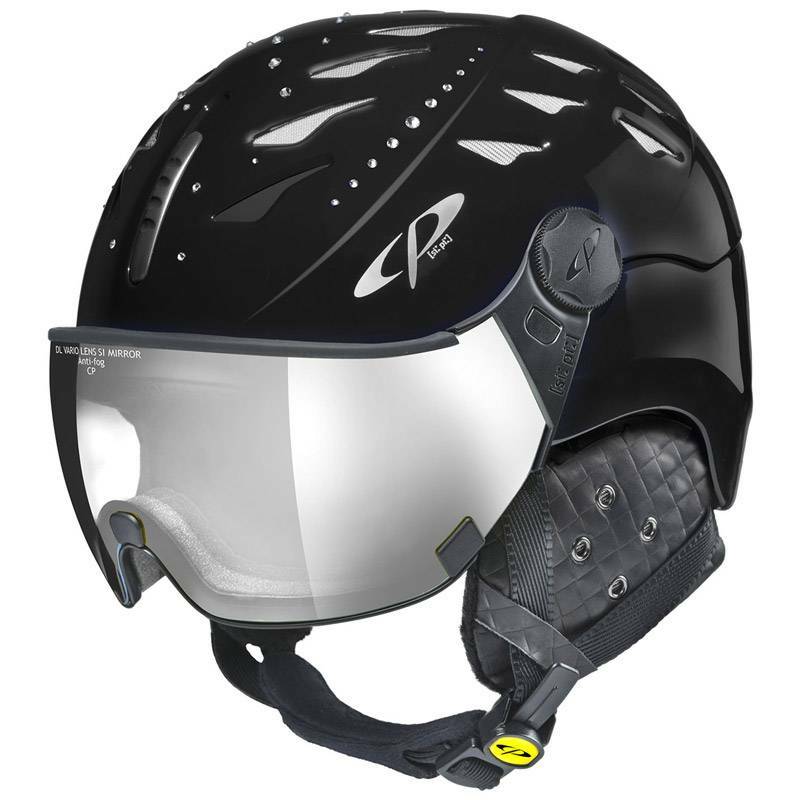 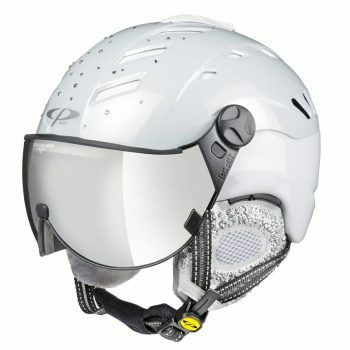 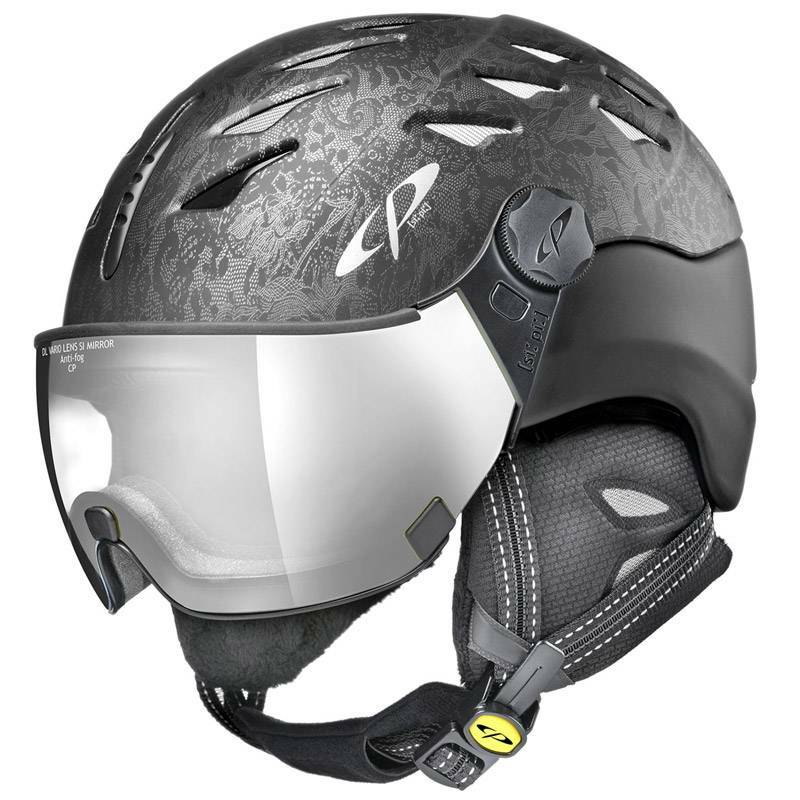 The controllable air system that gives the skier adjustable ventilation on the fly and provides the wearer with a cool and pleasant headspace inside the helmet. 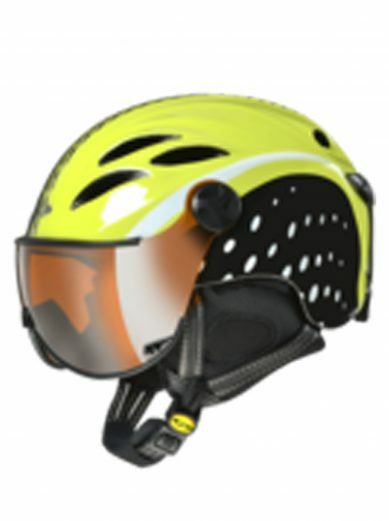 The helmet valves are adjusted with gloves on with just one slider on the back the helmet. 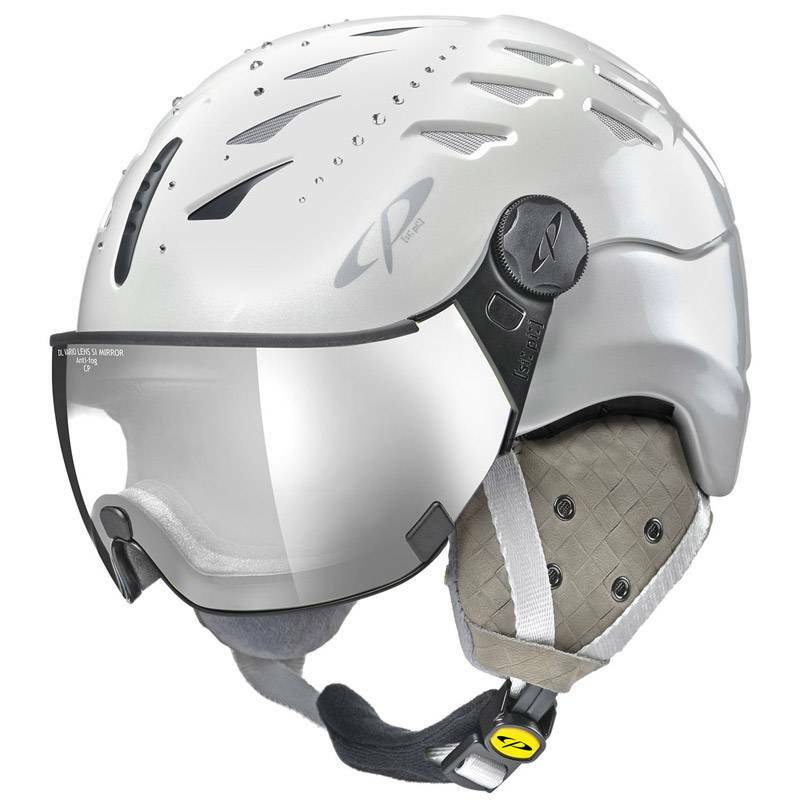 And of course the legendary size adapting system from CP, their popular size adapting system fits the helmet to every shape of head to ensure a perfect fit without unpleasant pressure points. 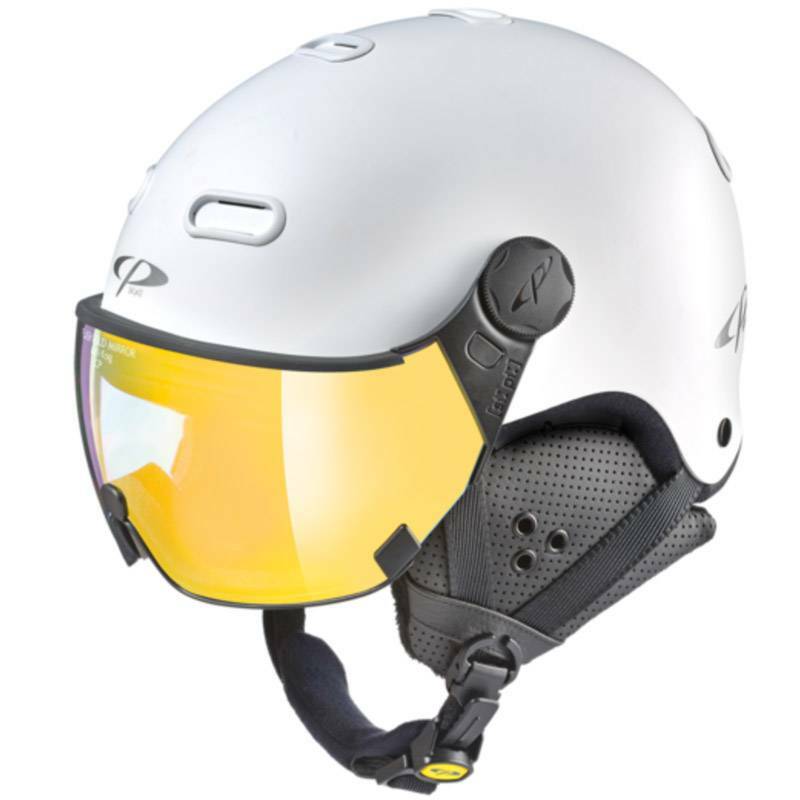 The white shiny color of this helmet is versatile with all kinds of color so the helmet can be worn with many different jackets. 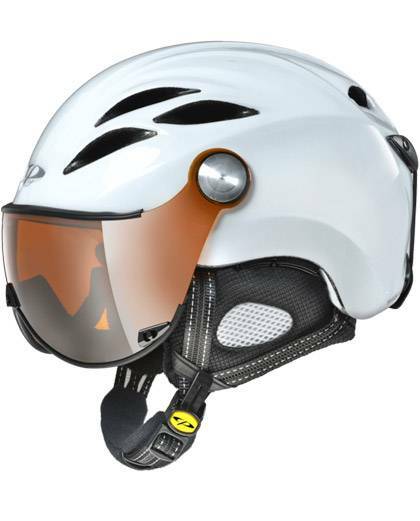 The orange visor not only looks cool but is one of the most popular color visors for different lighting conditions.